Bengtsson's hero, Red Orm-canny, courageous, and above all lucky-is only a boy when he is abducted from his Danish home by the Vikings and made to take his place at the oars of their dragon-prowed ships. Orm is then captured by the Moors in Spain, where he is initiated into the pleasures of the senses and fights for the Caliph of Cordova. Escaping from captivity, Orm washes up in Ireland, where he marvels at those epicene creatures, the Christian monks, and from which he then moves on to play an ever more important part in the intrigues of the various Scandinavian kings and clans and dependencies. Eventually, Orm contributes to the Viking defeat of the army of the king of England and returns home an off-the-cuff Christian and a very rich man, though back on his native turf new trials and tribulations will test his cunning and determination. 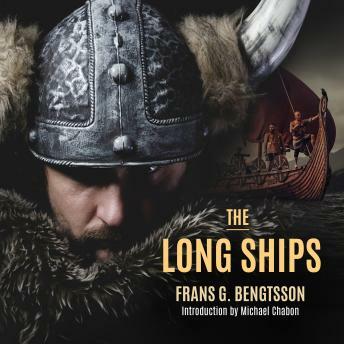 Packed with pitched battles and blood feuds and told throughout with wit and high spirits, Bengtsson's book is a splendid adventure that features one of the most unexpectedly winning heroes in modern fiction.